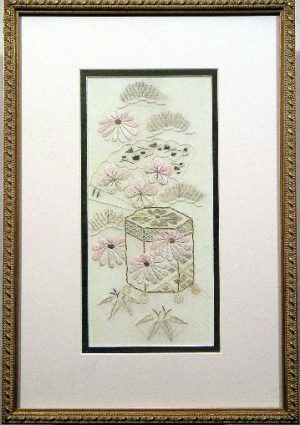 This rare and unusual Japanese Village Scene has been hand painted on hand woven Silk in the mid-1800s using natural dyes and pigments. 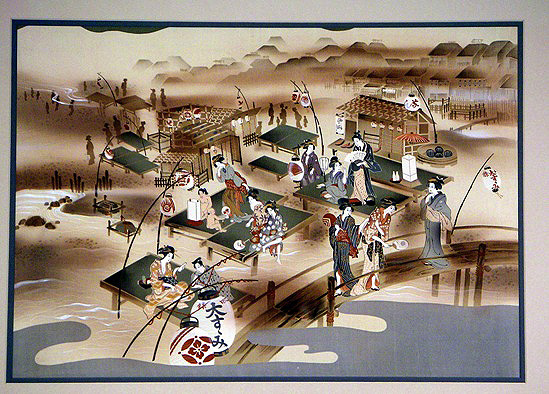 Contrary to Western culture, the Japanese did not differentiate between art on paper and art on fabric. Luckily, this extraordinary Artwork has been carefully cherished and preserved as a family heirloom for generations. The portrayal of the common everyday life of village women in Japan is most remarkable: a genre painting in which women and children dominate. 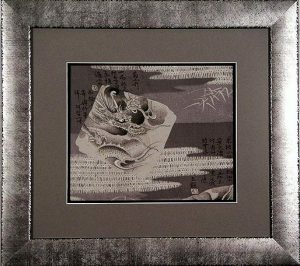 It is a Yamato-e painting which recreates for 1800s Japan, nostalgia for ancient Japan, while also incorporating modern painterly elements. 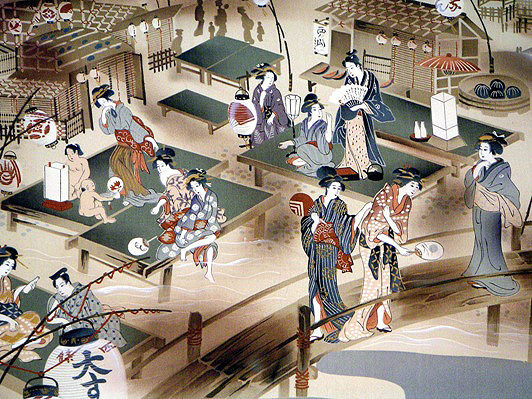 The women and children are going about their daily chores at water’s edge in a peaceful, relaxed manner echoing reminders of previous ages in Japanese History. 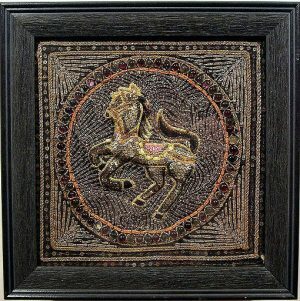 It is exquisite in its detailed depiction of their activities, as well as the fundamentals of the village in its entirety. The representation is as complete as to include the names on the lanterns hung strategically around the working areas. 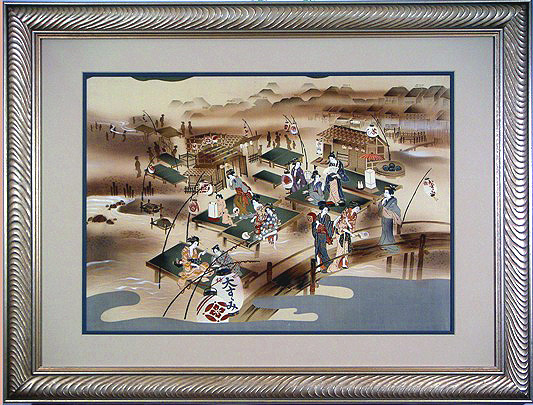 This is an exquisite example of the most famous of the “Yamato-e” style of painting from the Edo Era (1615-1867). 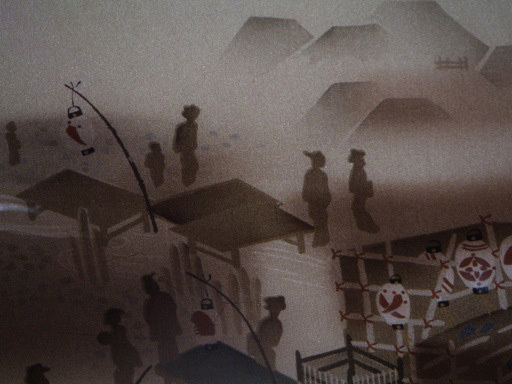 It reflects the most refined traits of traditional culture, inculcating the longing for Old Japan. The features of the women and children are finely painted through the “Rice Paste Resist” process, which flourished from the Edo Era to the Early Meiji Era (1868-1912). This technique required that each color be applied separately, while all the other colors are painted out in the rice paste. Each time a new color was added, the rice paste had to be removed by soaking it out over and over again in the local river water. This method required intensive and tedious labor to achiever the separate distinction of each of the colors, especially on finely hand woven Silk. 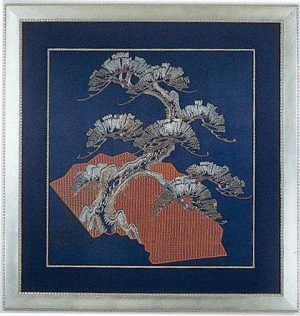 Finely hand woven Silk that has been hand painted in excellent condition. 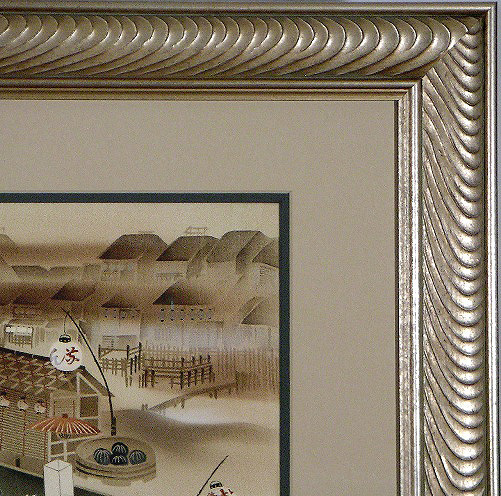 The painting has been double matted in 100% cotton rag content, acid free mats accenting the natural shades of charcoal and beige in the Artwork itself, with a marvelously sculpted wood frame echoing the waves at the water's edge and burnished with light gold highlights. The glass is 98% protected Museum Glass. This extraordinary panorama has been mounted in conformance with the highest standards in order to ensure a damage free environment for its future protection.